Is there a comic book, animation, or any other media where Superman is depicted as being an African American? I know that there are alternate universes where he is, for example, a Soviet, but I'm more interested if there's a depiction of a black Superman. And I'm even more interested if in this universe he lives in the USA. 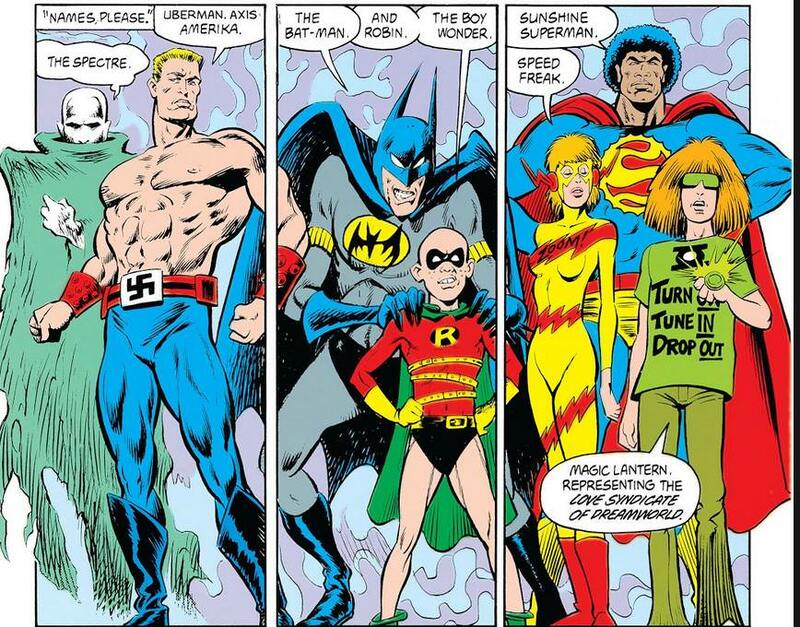 First appeared in Animal Man #23 (1990), as an illusion of sorts (generated by Psycho-Pirate's mask), along with other twisted versions of known characters. Then, his nationality is uncertain. Featured in Legends of the DC Universe: Crisis on Infinite Earths (1999). This one is part of the "Justice Alliance of America". "America" being often used as a (perhaps ambiguous) shortcut for "USA" by writers, I would say there is a chance this Superman was an USA citizen too. Introduced in Final Crisis (2009). Also known as Calvin Ellis, and plenty from the USA, which he is President of! 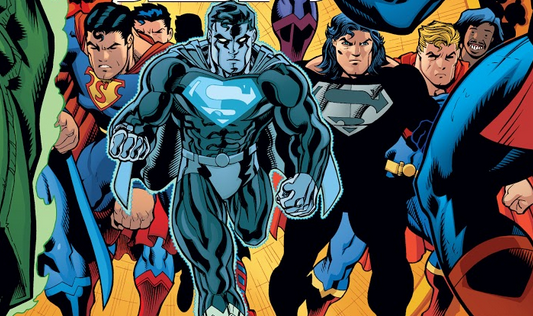 Grant created the characters for the last instalment of DC Comics series Final Crisis 7. He was inspired by a joke Obama made in a speech - in which he denied he was from Superman's home planet Krypton - and a report that Beyonce wants to play a superhero on screen. Grant told the Record: "I wanted to do something special for the last part of this huge comic book series. "**As I was writing it, I heard Obama making a joke about being born on the planet Krypton and being sent to Earth by his father Jor-El to save the world. "All the comics have been dealing with darkness recently and, having defeated evil, it's now time to celebrate." The comic, which comes out in the UK today, shows the president in the White House's Oval Office as he prepares to transform into his superhero alter-ego. Grant, who controversially killed off Batman last year for the comic series, added: "In this issue, we don't see him flying to Scotland - but who knows in future editions? "I hope to do more things with the Obama character next year." Who was adopted by the house of El, and took the Superman mantra afterwards. First appeared in Earth 2 #19 (2014). I think that Val-Zod, a recent immigrant to Earth whom I believe never took on American citizenship or a secret identity as a human, technically doesn't meet either the "African" or "American" criteria. 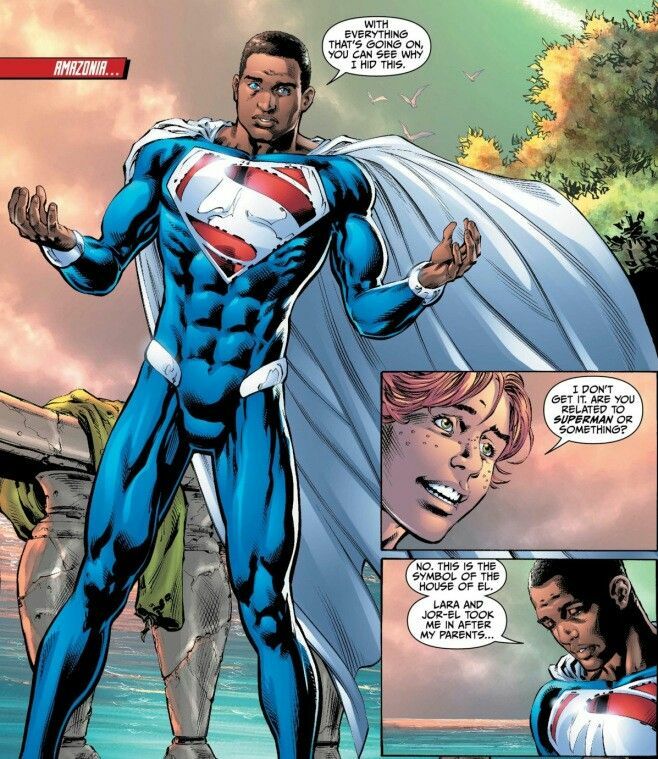 He would then belong in the list as "a depiction of a Black Superman", as mentioned in the question's body. Yes, you read that right. You learn something every day, I guess! In the Tangent Comics (1997), Harvey Dent was Black, and discovered he had powers. He reached out to help citizens, which in turn named him Superman. He lived in New York. 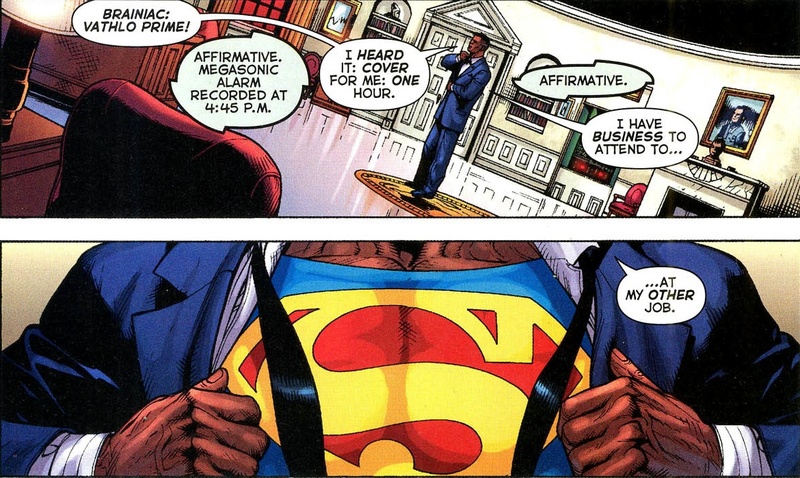 There's an unnamed Black Superman who appeared in Superman/Batman #25 (2006), when Superman and Batman call upon their Multiverses counterparts for help. However, this is literally the only panel this guy appears in, he doesn't have a name, even less a nationality. 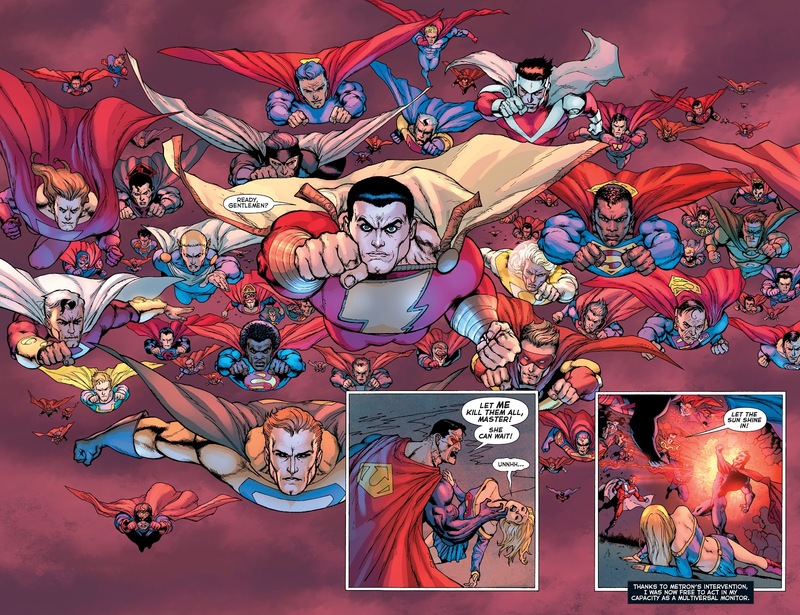 Also worth noticing that some of the above made an appearance in the Supermen of the Multiverse panel below. Some extra Supermen are a bit too blurry to be sure they're black, but it's a possibility. Not the answer you're looking for? Browse other questions tagged dc superman parallel-universe dc-animated-universe or ask your own question. Is Clark Kent a legally adopted U.S. Citizen? Is there any evidence that using alternate universe/timeline in a franchise hurts/helps it? Are there novels in the Marvel comic universe? Who Started Fighting Crime First Clark Kent or Bruce Wayne? Why does Batman think he’s a bad person? Was there an in-universe discussion of super-hypnotism and ethics? Story identification - possible series, alternate universes, maybe some kind of police force? Did Superman ever regain his memories of his Legion adventures with Supergirl? Was there a midnight launch for the death of Superman in 1993?